Hark the Herald; these angels can sing! The Brandenburg's Christmas Concert is an entertaining 90 minutes of traditional Christmas favourites and Baroque compositions, with a few surprises thrown in. Following on the heels of A Night with Avi Avitel the Brandenburg again treats the audience to another cold opening – this time with the choir carolling its way onto the stage to Wachet Auf. 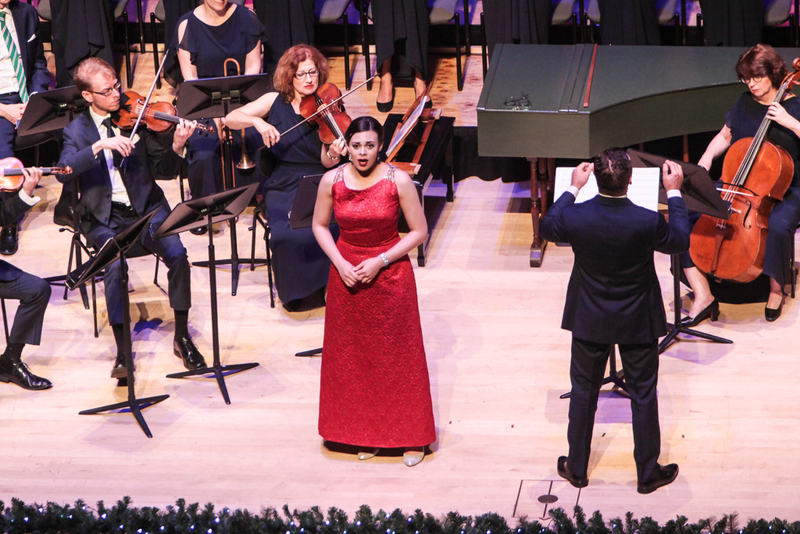 The opening ensemble – which included a wonderful sonata and Medieval cult classic, Once, in Royal David's City – was a wonderful preview of what is to come, a great blend of choral movements and flamboyant holiday cheer from the orchestra. 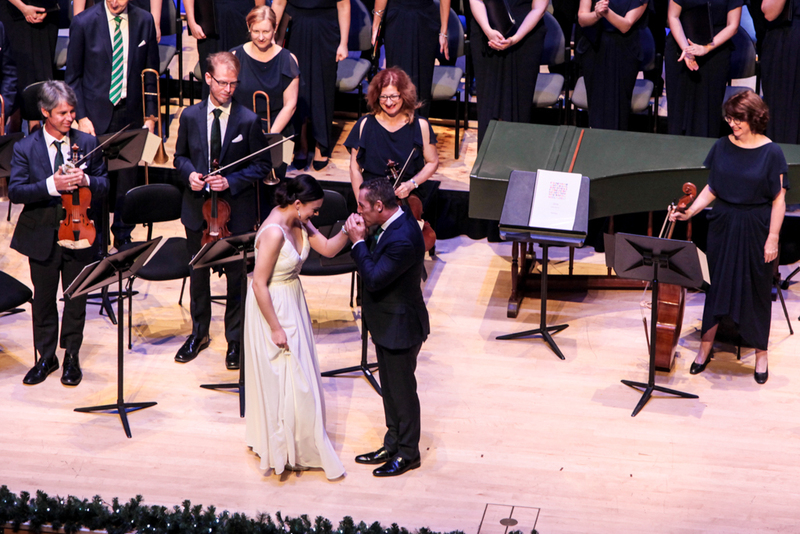 Soprano Madison Nonoa, tonight's leading lady, is a bright, young Kiwi talent. Her stage presence is as endearing as her voice - absent were the staid and practiced moves and mannerisms of a seasoned soloist 20 years her senior. Instead it was as if she was journeying through the pieces right along with us. In particular, her Ave Maria, a lesser-known composition from Vavilov, gave chills. From there it was a jaunt down to ye O Little Town of Bethlehem and a haunting movement called The Spheres from Ola Gjeilo's Sunrise Mass. The orchestra refused to be pushed to the back seat and had a wonderful time of things with some of their pieces – particularly the Rittler piece towards the middle of the program. Dyer, ever the performer, brought frivolity to the evening through his light-hearted direction of both musicians and audience. 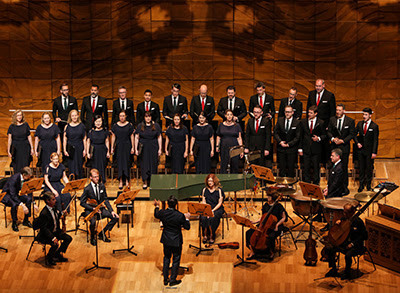 A word to those looking for traditional carols: The authors of this review had mixed reactions to the sometimes unconventional selections chosen for a holiday concert. One of us was left wondering the reasoning behind the programme. For example, Amazing Grace, whose sound, however sweet, is more often found at a funeral or church service than a raucous celebration of Christmas. This reviewer expected to be injected with a solid dose of the Christmas spirit, and was distracted by the inclusion of sometimes sober, sometimes modern pieces. On the other hand, the other reviewer thoroughly welcomed a respite from the onslaught of Christmas carols at this time of year. Instead, this reviewer delighted in the attention Dyer gave to the arrangement of pieces throughout the program. Like a good DJ, Dyer wove the pieces together seamlessly – keeping the listener suspended on a wave of angelic sounds from violins and voices, alike. In short, we suggest this concert if you are interested in good music and a captivating performance with a flavour of Christmas. If you're looking for tried-and-true Christmas carols, check out the free concerts held around the city this holiday season. The performance will be aired on Christmas Eve on Foxtel Channel 133 at 9.10PM. Check here for local times and channel information. This sounds like a wonderful event, perfect for the Christmas holidays.